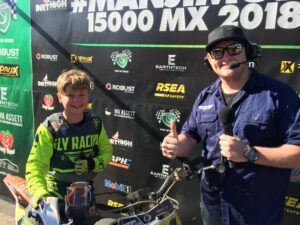 Over 500 riders battled it out through tough track conditions over two days, entertaining over 7000 spectators. 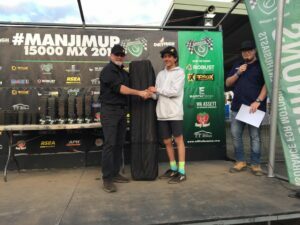 Dean Ferris of CDR Yamaha entered the weekend with the clear goal to put his name in the history books as not only the Allstars overall winner but also the victor of the iconic Allstar’s Shootout, relegating three-time champion Kirk Gibbs on the KTM to the second step of the podium in both categories. 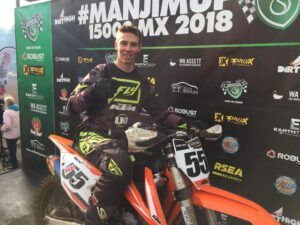 Dean Ferris was on top for three of his four motos, with Gibbs taking first in the second Allstars event in the program. 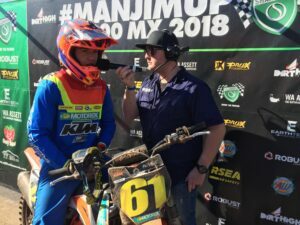 Kirk Gibbs was able to come home with second on the KTM in the majority of his races, praising the riding abilities of all entrants over the weekend. 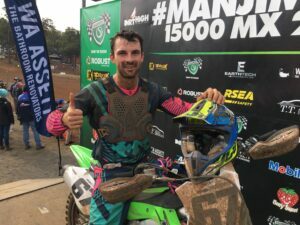 South African born Kyle Webster put in a tough effort, grabbing the third place for the overall Allstars division, fending off a hungry battle pack of big name Australians and International riders alike. 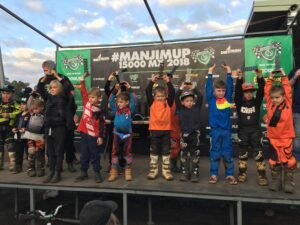 The Manjimup 15,000 also played host to one half of the Women’s Australian National Championship, with the next round to take place in Coolum later in the year. 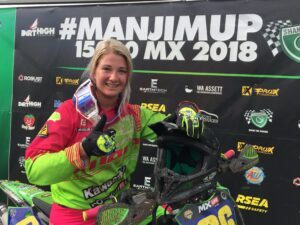 Meghan Rutledge secured victory, however it didn’t all go her way with Jess Moore challenging hard in the early portions of each race, securing a string of third places and a win, installing the Kalgoorlie born rider in third place for the championship. A tailbone injury dampened her day in the third race, and would plague her final outing with Moore visibly affected after the event conclusion. 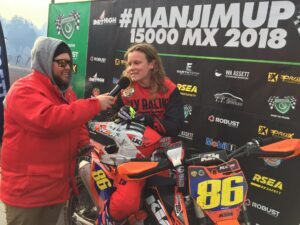 Australian Champion Maddy Brown rode her #1 Yamaha to a great result coming in as runner-up for the event and showed fine form heading into the Championship final. 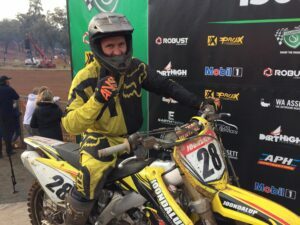 The Masters National Championship also had its first round at Manjimup with Craig Anderson dominating the competition bringing home three of four race wins over James Craig in second and Christian Horwood in third. 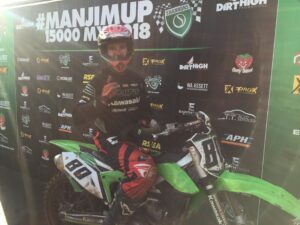 Only one point would seperate the two top riders. 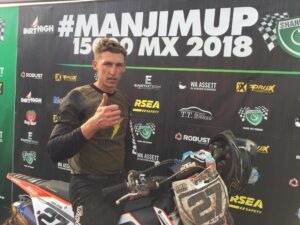 Anderson faltered in the second moto, getting tangled up in a battle and dropping track position to finish in 7th after an incredible run up the pack from the rear of the pack. 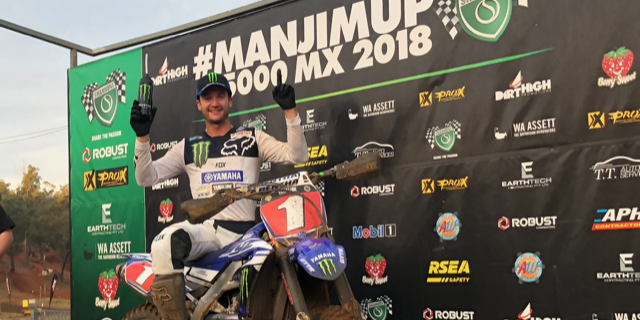 Strong finishes from Horwood and Ben Hothersall in the final race would ensure James Craig could not close the gap in points to the eventual winner Craig Anderson. The Veterans National Championship was underway on the weekend as well, showing an incredibly high standard of competition. 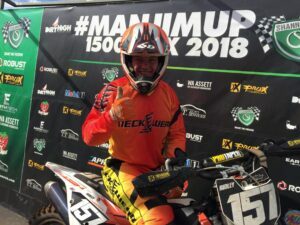 Steve Heilers was unstoppable as he raced to victory in every single event he fronted to. 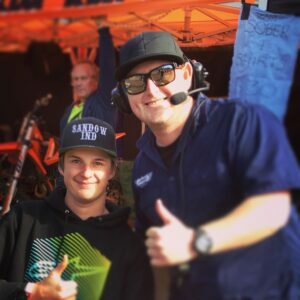 Heilers held the fastest lap time and average speed in every moto. 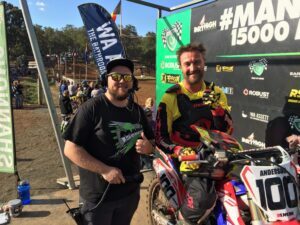 Ex-Moto GP and ASBK rider Bryan Staring traded slicks for dirt tyres, bringing a high standard of rider skill as he returned to his childhood race discipline. He was able to secure a full quartet of runner-up positions, yet was denied any further positions by the supreme fitness of Heilers. 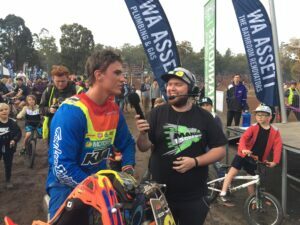 Steve Powell and Luke Few battled throughout the day with third going to Powell.